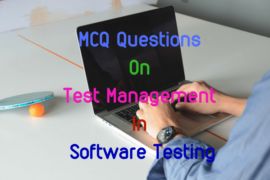 Here are the collections of MCQ questions on fundamental of database management system which includes objective questions on SQL commands used to create DDL , DML and DCL statements. 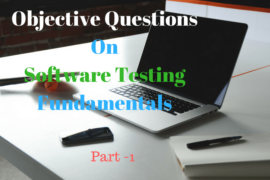 It also contains collections of objective type questions different terms used in DBMS such as primary key, composite key, candidate key, foreign key and super key. 1. In SQL, which command is used to issue multiple CREATE TABLE, CREATE VIEW and GRANT statements in a single transaction? A) to create a place in the database for storage of scheme objects, rollback segments, and naming the data files to comprise the tablespace. B) to create a database trigger. 3. Which character function can be used to return a specified portion of a character string? 4. Which of the following is TRUE for the System Variable $date$? A) Can be assigned to a global variable. B) Can be assigned to any field only during design time. C) Can be assigned to any variable or field during run time. D) Can be assigned to a local variable. 5. What are the different events in Triggers? 6. Which is the subset of SQL commands used to manipulate Oracle Database Structures, including tables? 8. Which of the following SQL command can be used to modify existing data in a database table? 9. When SQL statements are embedded inside 3GL, we call such a program as ………. 10. ……………. provides option for entering SQL queries as execution time, rather than at the development stage. 12) To change column value in a table the ……… command can be used. 16) ……… is critical in formulating database design. 20) A ……….. is a set of column that identifies every row in a table. 2. A) to create a place in the database for storage of scheme objects………. 4. B) Can be assigned to any field only during design time.